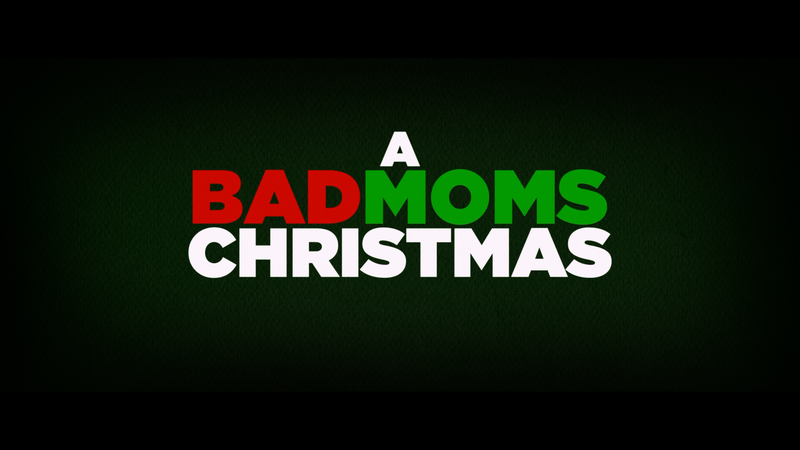 A Bad Moms Christmas didn’t accomplish greatly in terms of comedy, it did do one thing: really make me despise Christmas. 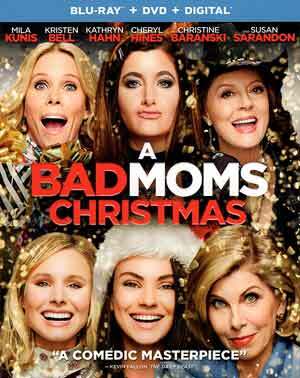 As much as I found the first Bad Moms to be okay (gave it a 3.25/5), if not forgettable, this slapped together holiday sequel was atrocious from start to finish. Best friends Amy (MILA KUNIS), Kiki (KRISTEN BELL) and Carla (KATHRYN HAHN) are back and its Christmas time. Things are going well for the trio… until their respective mothers come to town for the holidays. Ruth (CHRISTINE BARANSKI) is Amy’s overbearing and critical mother with her own ideas, and ideals, for Christmas; Kiki’s mom, Sandy (CHERYL HINES), is frankly, obsessed with her daughter and has boundary issues; and Isis (SUSAN SARANDON), Carla’s mom, is a rock star roadie who has pretty much been absent throughout her daughter’s life, only coming around to ask for money. So, there’s the set-up. 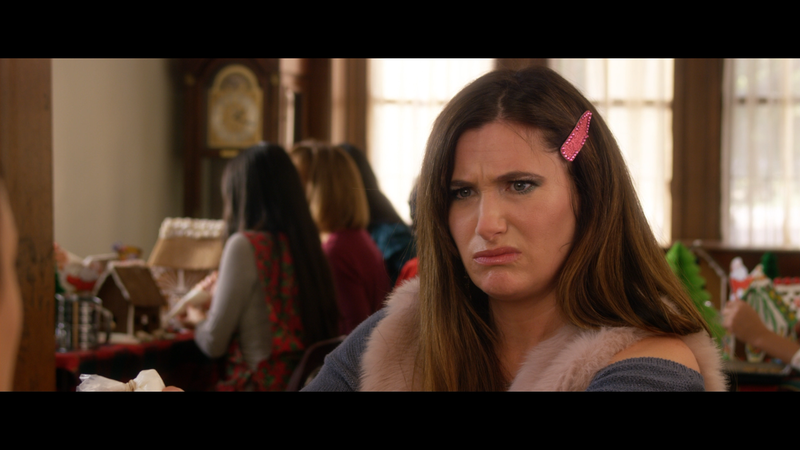 You’ve got six talented and often funny ladies, sadly the script from Jon Lucas and Scott Moore, the writers and directors of the first Bad Moms film, don’t really offer up any jokes that land and even the selling point of being raunchy is rather tame in some respects, while still earning the R rating. Although I didn’t have much of a problem with Kristen Bell/Cheryl Hines, though that relationship was incredibly creepy, or Kathryn Hahn/Susan Sarandon which was basic but ultimately helped since Hahn was the highlight in both of these Moms movies. However, what got to me and took this from just a bad comedy to downright awful was Christine Baranski who was absolutely and completely obnoxious where I really could not stand her anytime she came on screen, and when we get to the end apparently the filmmakers wanted the audience to feel Amy (Kunis) bared some responsibility for the events… I’d argue she was rather restrained all things considered, unleashed when her mother turned Amy’s home into a big Christmas party, and that’s after she took it upon herself to decorate the exterior with an extravagant display that would put Clark Griswold to shame. The remainder of the movie tacks on a happy ending and some kind of B.S. message about family to hopefully have the audience leaving the auditorium (or living room) with a smile on their faces instead of a scowl. Didn’t fool me. The film still pulled in $130 million off of a $28 million budget, so there could still be room for spin-offs (a proposed Bad Dads thankfully never came to fruition) and other holiday sequels, but I really hope they stop here or, at the very least, get some new script writers to give this cast better material to work with. Not much more to say about A Bad Mom’s Christmas other than along with being a cynical cash-grab, which most comedy sequels tend to be, but beyond that it’s utterly mean-spirited that absolutely wasted the talents of its cast, which also includes Peter Gallagher playing Amy’s hapless father, a superfluous cameo by Christina Applegate and a brief, but credited, appearance from Wanda Sykes. As someone who was generally entertained by Bad Moms, it’s a shame this was so… lousy. This Blu-ray/DVD combo packed comes housed in a standard Blu-ray case and a title-embossed slip cover. Inside is a redemption code for the Digital HD copy. Features, however, are on the light side with a Gag Reel (6:36; HD) filled with on-set hijinks, some Additional Scenes (3:52; HD) which are more line-o-ramas or alternate lines; a Crew Music Video (2:25; HD) that has the crew doing their own video like the one the end credits with the cast; and two Theatrical Trailers (4:45; HD). A Bad Moms Christmas shimmies down the chimney presented with a 2.40 widescreen aspect ratio and given a 1080p high-definition transfer which I found to be pleasant enough with bright colors and even deep blues during the Christmas party scene toward the end. There are some shots, however, that are on the softer side but for the most part still the video looks fine. The disc includes a DTS-HD Master Audio 5.1 and it’s more than adequate for a movie that is mostly dialogue but there is some depth for the variety of music and the LFE channel kicking on for an extra boost. Nothing overly special but effective. Overall, A Bad Moms Christmas was a bit of a chore to even sit through, not so much that none of the humor landed but one character that was absolutely obnoxious and really could’ve been the film’s antagonist than somebody I could actually care about. I thought the first movie was decent enough but this one was cynical, unnecessary and mean-spirited. The Blu-ray released through Universal offers up good video/audio but is lackluster with the features.